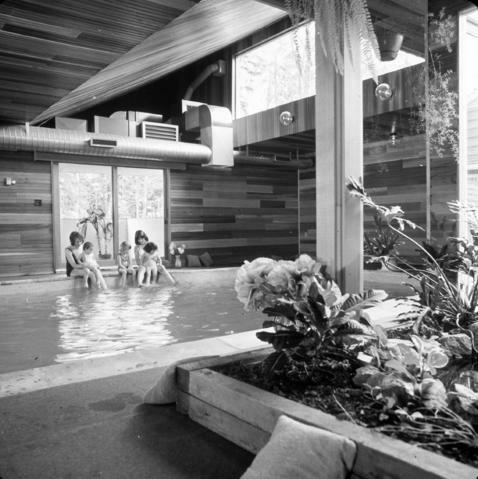 Copy negatives of photographs of the exterior of a home and the interior and exterior of an attached swimming pool. Supplied title based on contents of images. Murray, James A. Ed. "Progress." The Canadian Architect" Aug. 1974: 5-6. Print.